Porto, Portugal - A tourism guide fully updated for 2019! Porto is a fascinating and vibrant city that is rapidly becoming one of Western Europe’s most respected tourist destinations. The city boasts an extensive history, interesting tourist attractions, and a buzzing nightlife, and outstanding tourist facilities. There is a lot to see and do in Porto, and this diverse city will appeal to a wide range of visitors. This guide will provide an introduction to Porto, by answering some of the common holiday planning questions and offering links to further detailed tourist information. What are the highlights of Porto? The Ribeira District - The oldest district of the city, a labyrinth of narrow cobbled streets, ancient houses and bags of character. 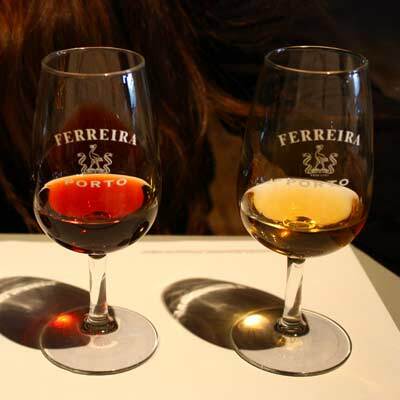 Port Tasting and Tours – Porto is famed for Port (a rich fortified wine), which is matured in the vast cellars (referred to as caves) that line the southern banks of the Douro River. The Port Lodges provide informative tours of the traditional processes and a chance to sample some of the finest vintage Ports. Porto’s nightlife - The vibrant nightlife of Porto caters for all ages and diversities; from fine dining experiences through to banging late night clubs. The Douro River - The scenic backdrop to Porto, which is crossed by magnificent bridges and best explored by a boat tour. At a minimum, it takes two full days of sightseeing to discover Porto. 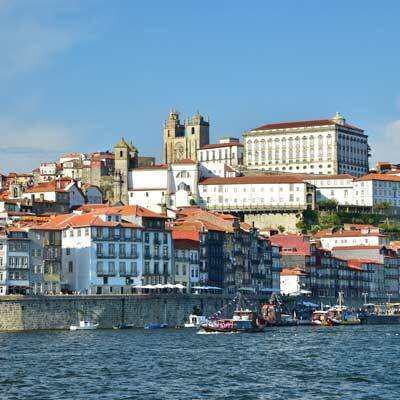 The first day would explore the historic centre (Se district), the Baixa district and Ribeira district, and could include a short boat cruise along the Douro River. 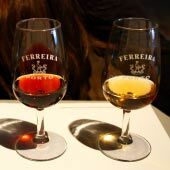 The second day would visit Vila Nova de Gaia (on the southern banks of the Douro river) and the Foz district, and could include a tour of the Port cellars and Port tasting. 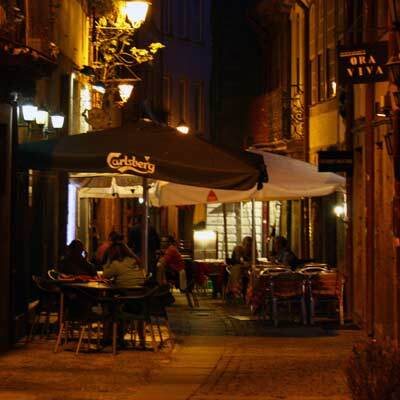 The evening could be spent in the lively restaurants of the Ribeira district, or for a more party-focused night, head to the bars and clubs close to the university and the Rua Galeria de Paris (affectionally, known as bar street!). Note: One day is not enough time to visit Porto, and we always recommended at least two days. Related article: Two days in Porto. 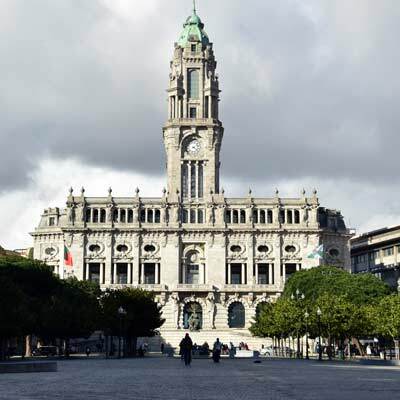 What about a longer stay in Porto? Porto is situated in a region of rich history, stunning scenery and glorious beaches. 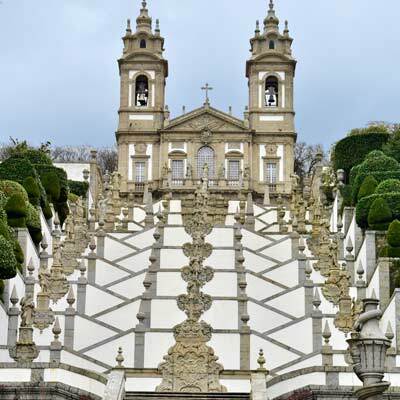 Surrounding Porto are numerous enjoyable day trips, and these excursions can transform Porto into a wonderful destination for a week-long holiday. Porto boasts a vast selection of restaurants, sufficient that you are able to eat somewhere completely different every night of your holiday. Also, Porto’s nightlife is the best of northern Portugal. 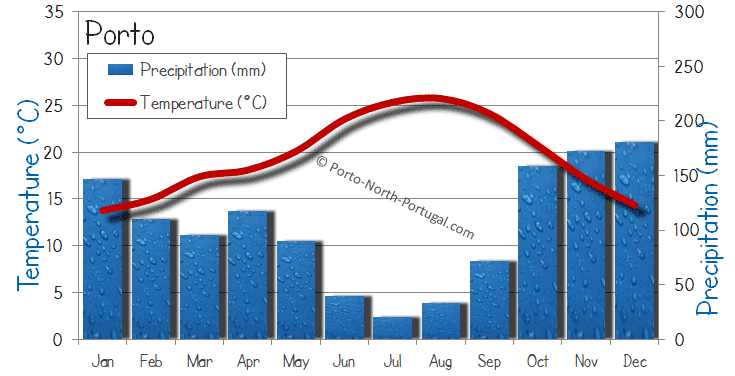 In general, Porto and northern Portugal tend to be cooler and wetter than the rest of the country. The peak season is from June to the end of August, and this season offers hot and dry weather, which is suitable for spending time on the beaches. The tourist season of Porto begins in May and continues until the end of October, and the weather in the spring/autumn is ideal for sightseeing and day trips. In the winter there is a very high possibility of rain, but as Porto is a major city, all restaurants, bars and hotels remain open. 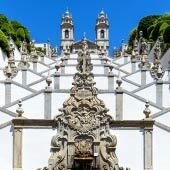 Related article: When to visit Porto? 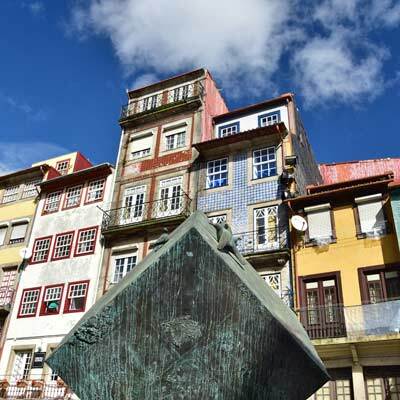 Porto is expecting a sell-out summer for 2019, and this is based upon 2018, when most city centre hotels and rental rooms were fully booked. There is real excitement and growth within the tourism industry of Portugal, as tourists and travel influencers discover the allure of this amazing country. There are many airlines flying into Porto, but popular flight times (Friday evening and Sunday evening) need to be booked well in advance to secure the lowest prices. If you are seriously considering a holiday to Porto, please book your accommodation as soon as possible, as demand outstrips supply. On a map, Porto appears as a large, sprawling city, but the actual area where most visitors would want to be based is relatively small. 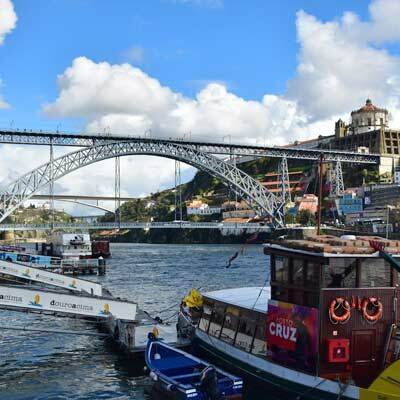 The majority of tourists would want to be within walking distance (around 500m) of the Ribeira district (GPS: 41.14064, -8.61305) and the Baixa district (GPS: 41.14672, -8.61126), an area that includes the Se district. Further, away than this, you will feel that you are endlessly walking or far from the action. Business travellers should be based within the Boavista district, as this is where many of the business hotels are located. Porto is at the centre of a region of historic towns and characterful cities, all of which can be easily visited as a day trip from Porto. 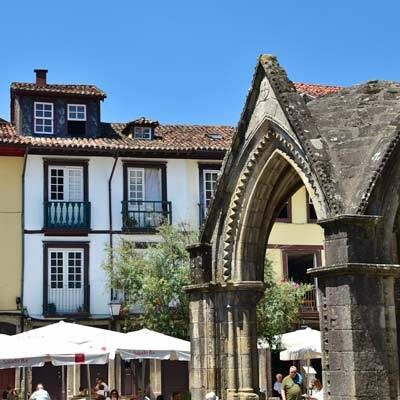 The best day trips include Braga (the religious centre of Portugal), Guimarães (the historic birthplace of Portugal), Aveiro (a charming canal town) or a cruise along the Douro River to the heart of the vineyard growing region. 1)	Braga, 2) Douro Valley (up to Pinhão) 3) Guimarães, 4) Ponte de Lima and Ponte da Barca, 5) Viana do Castelo and Barcelos 6) Aveiro and Costa Nova 7) Upper Minho (Monção, Valença and Cerveira). Porto is situated along the Costa Verde, a dramatic coastline of rocky headlands, sandy beaches and powerful seas. 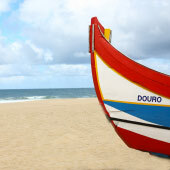 Dotted along this coastline are traditional fishing towns and likeable beach resorts, including Espinho, Vila do Conde, Povoa de Varzim and Costa Nova. Close to Porto are the small beaches of the Foz district, while the largest sandy beach is the Praia de Matosinhos (in the town of Matosinhos, GPS 41.17555, -8.692802). 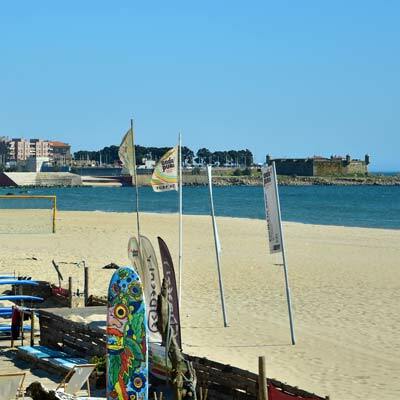 Our favourite beaches for a day trip is to the charming town of Vila do Conde, or the Praia de Miramar (in Miramar, GPS: 41.06785, -8.65789). 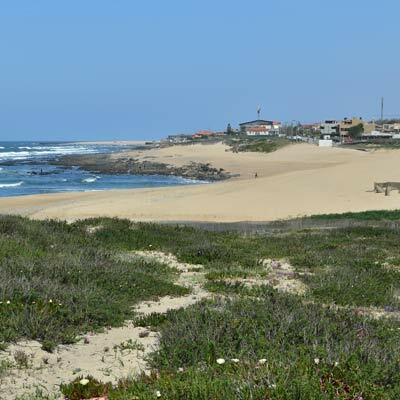 If you’re looking for pristine beaches and a more natural setting, head south to the coastline between Espinho and Francelos, which is served by the Porto-Aveiro railway. Is Porto suitable for children and families? Porto is a great destination for families seeking a city break within Europe. 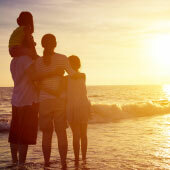 The Portuguese are very accommodating and supportive of families, and children will be welcomed in all hotels, restaurants and tourist attractions. There is a range of activities that will entertain children, including tram rides, boat rides and the cable car. 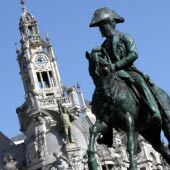 Porto is a popular backpacking and budget holiday destination, as there are many excellent hostels, inexpensive restaurants and lots of similarly minded worldly travellers. The nightlife of the city is lively and liberal, and the city always has a bustling atmosphere. There is always a good backpacking community and attracts a wide range of nationalities. Even though both cities have their own unique character and charm, visitors new to Portugal should consider them very similar. Both cities have pretty historic centres, vibrant nightlife, are close to beaches, and offer many enjoyable day trips. As a visitor, you will not be disappointed with either one. Insight: The Portuguese joke by saying “Porto works, Coimbra sings, Braga prays and Lisbon shows off”, and this description of Porto and Lisbon is very true…..
Porto Airport (IATA code: OPO) is 14km to the north of the city and is connected to the city by the metro network (departures every 20 minutes, 7am-11pm, €1.85 single). A taxi transfer will cost between €20-30 and includes luggage surcharges. The airport is a major international airport and there are direct flights covering the whole of Europe, and this includes services operated by many of the low-cost airlines (EasyJet, Ryanair, Vueling and Wizz Air). Ryanair have a major base at Porto airport, and the number of cheap flights is making Porto a popular city break destination. Is Porto an expensive destination? 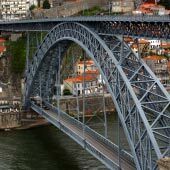 Porto is a great value destination, as it offers exceptional value for food, drink and public transport. 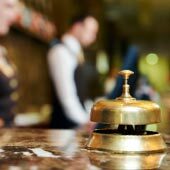 Hotels are generally cheaper than most other European cities, while tourist attractions and activities are reasonably priced. Unlike many other major tourist centres, tourists will not feel as if they are being constantly exploited or ripped off. 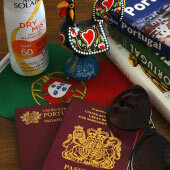 Overall, a holiday to Porto will cost significantly less than a holiday to Europe’s other major cities. 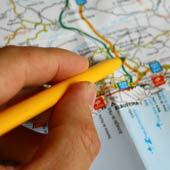 English is also widely spoken by those who work within the tourist industry. 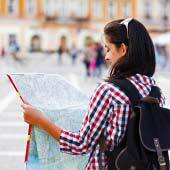 Tourists with only English language skills will not experience any language barriers. All transport hubs, including railway stations, metro and airports also have full English translations and signposting. When dining out, most restaurants and cafes in Porto have English menus and, if not, waiters are always happy to translate. A rental car is not needed for a holiday to Porto, since the city has excellent public transport and the most popular day trips can be reached by train. Driving in central Porto can be very challenging, with erratic drivers, confusing road layouts and limited car parking. A rental car is useful if you plan to explore the Douro valley or the northeast of Portugal, where there is almost no public transport.